131 years ago today, on 20th June 1837, whilst Queen Victoria was celebrating the fiftieth anniversary of her accession to the throne in London with a banquet to which 50 European Kings and Princes were invited, 2,548 beacon bonfires were lit across England, Wales, Scotland, Ireland and the Channel Islands. Colonel Milward, one of Worcestershire’s MPs, used the top of the Malvern Hills as the starting point for the first organised chain of bonfires to be lit to the north, south, west and east. 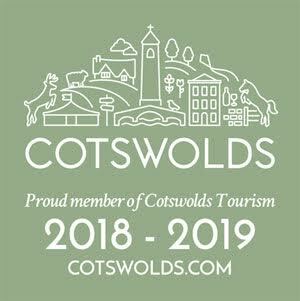 Broadway joined in the Jubilee celebrations: after dusk a procession of villagers carrying torches and chinese lanterns made its way up what is now The Cotswold Way from the centre of the village to the Tower on top of ‘Beacon Hill’, where a large bonfire was lit. That evening from the vantage point of Broadway Tower, 142 beacon fires could be seen across the surrounding countryside. 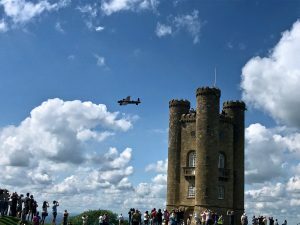 Broadway Tower has not hosted any beacon bonfires in recent years but is still a great Cotswolds attraction to visit and well worth the climb up the hill from our Cotswold holiday cottages in West End. The walk takes about 40 minutes and is a steady but not too arduous ascent. It is also possible to take the car up to the Tower as there is there is plenty of parking on site. The views from the top of the Tower are spectacular and on a clear day it is possible to see 16 counties of England and Wales. 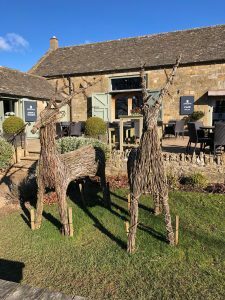 Within the grounds of the Tower is a herd of red deer and the nearby cafe Morris & Brown is open for refreshments almost every day of the year!